Height : 30cm to 40cm at the shoulder with most being about 35cm tall. Life expectancy : 12-15 years depending on the weight of the dog, with lighter dogs having a longer lifespan than their heavier counterparts in general. Tricolour – This is where the base colour is white with large areas of black, such as the saddle, chest and most of the head with areas of dark tan on the cheeks and eyebrows. 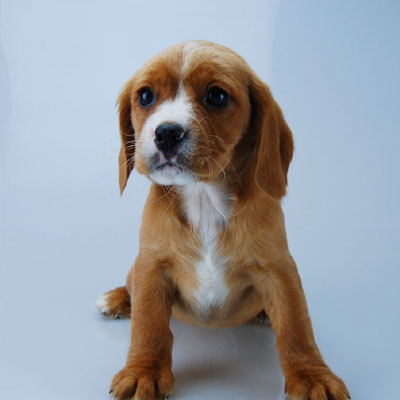 The markings and glossy sheen of the black is similar to that of Cavalier King Charles Spaniels. 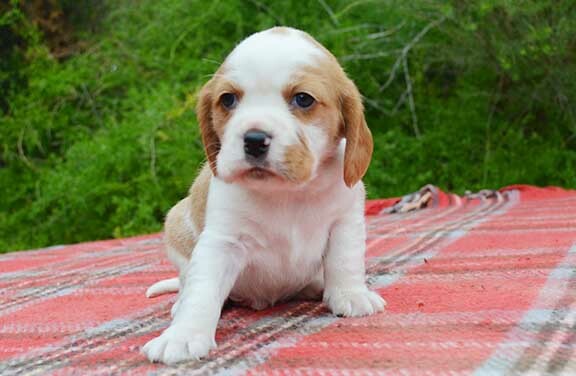 Blenheim – Just like the Cavalier, this is a white base with red markings on the back, upper parts of the limbs and eye patches. Black and Tan – Black base with tan markings on the face and legs. Some dogs will also have small white markings on the chest, face and toes. Ruby – All red with some white markings, usually as a blaze on the chest or face but can also be on the toes and possibly the tip of the tail. 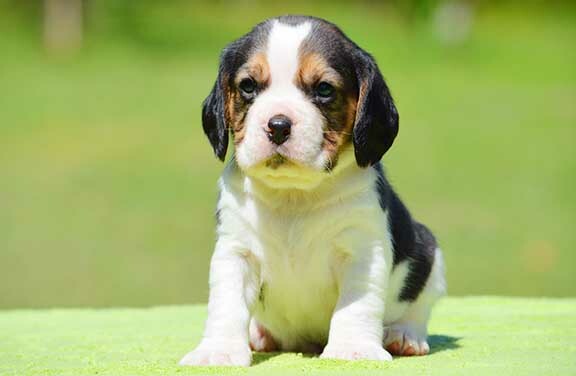 Beagliers are most often Tricolour but other colours such as Blenheim, Ruby and Black and Tan are also common but some Beagliers can be honey coloured or even black and white depending on the combination of colours of the parent dogs. Exercise requirements : Medium, they love a walk to exercise both body and mind. Suitability with children : Excellent, but some supervision is required to prevent young children from hurting very young puppies. Suitability as a watchdog : High, will bark at strangers approaching their property but will not bite an intruder. Trainability : Very high, especially so when food is used as a reward. Compatability with other dogs : Very high, they are the offspring of two highly sociable breeds and Beagliers love the company of other dogs. In fact, Beagliers are happiest when living with another dog. 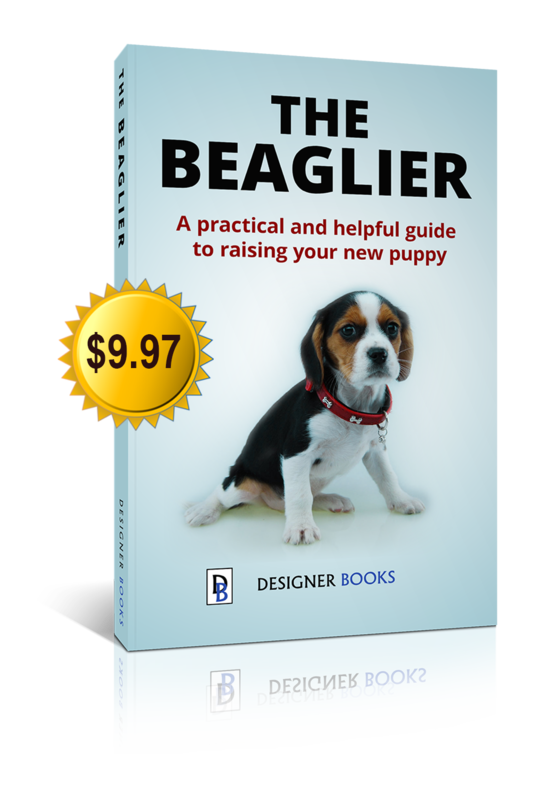 Price guide : Between $2500 and $4000 depending on the level of health testing of the parent dogs. 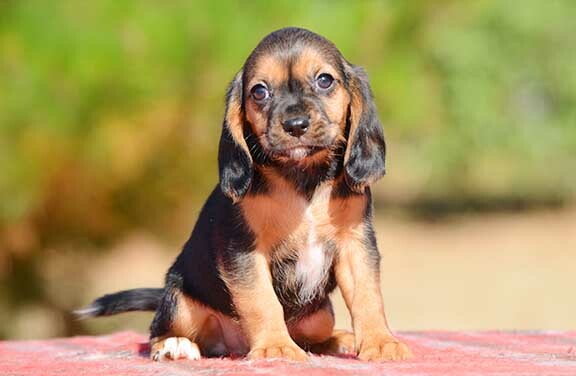 It is highly recommended to pay a little more when buying to source a puppy from not only PRA tested parents but that they screen for multiple genetic diseases and disorders. Health issues : Low, PRA tested parent would be a minimum but multiple disease DNA testing is advised. Some dogs can be prone to obesity if overfed but this can be managed with a balanced diet.